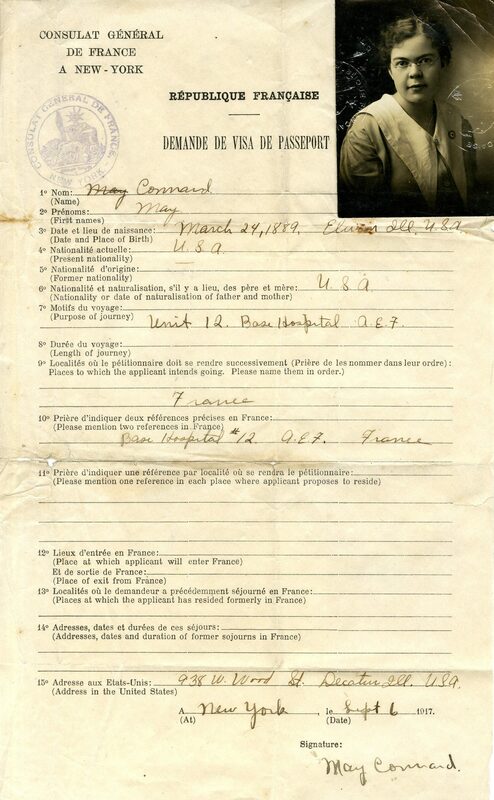 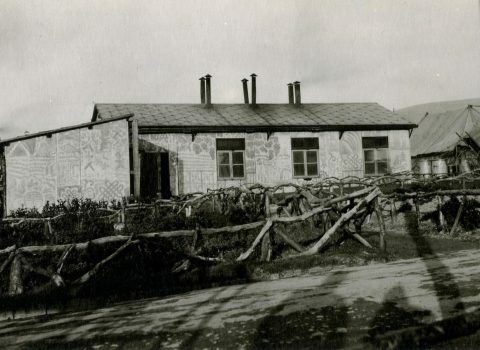 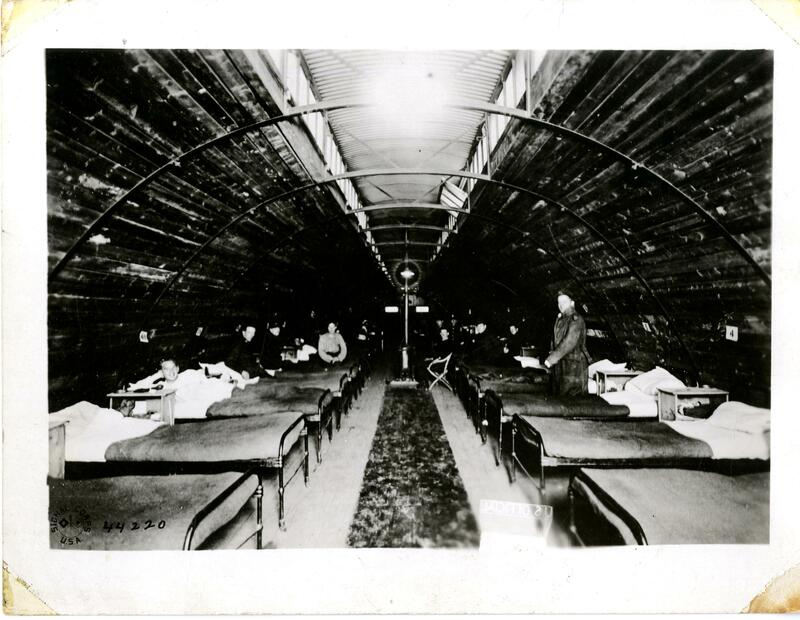 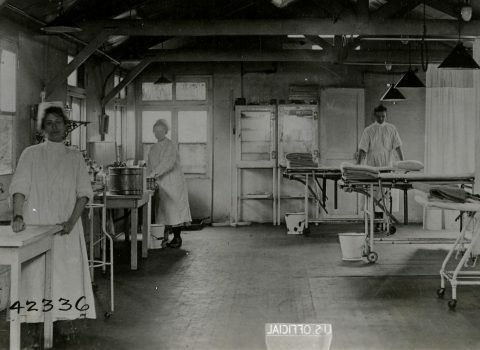 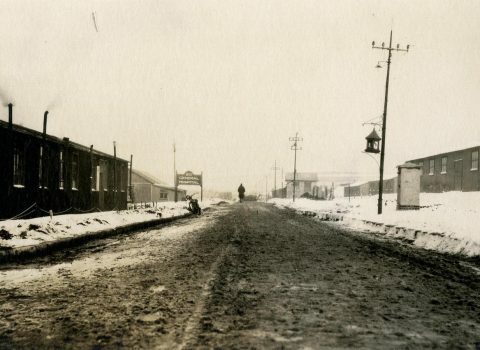 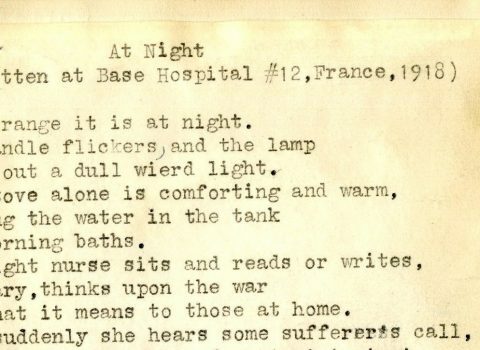 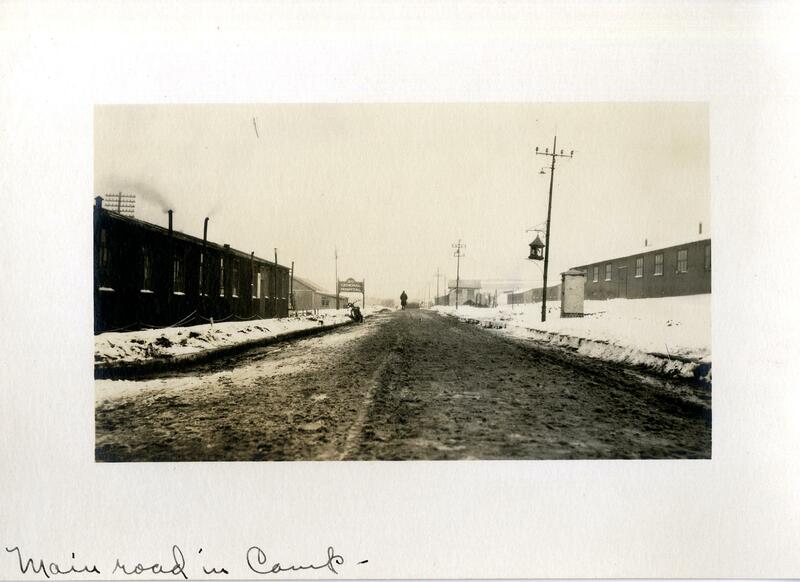 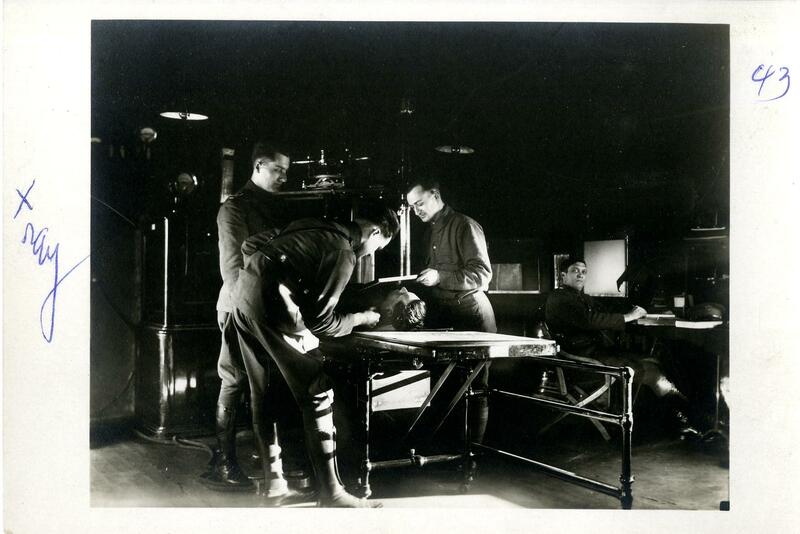 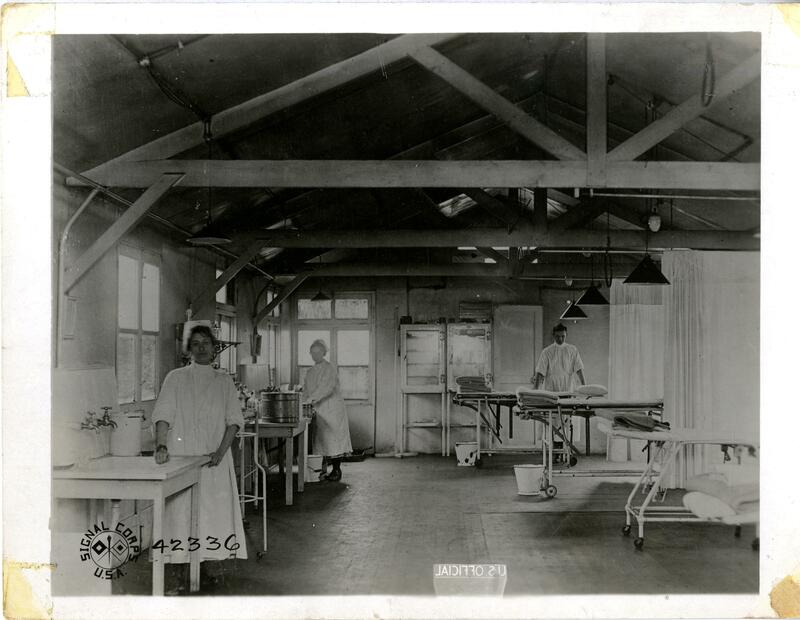 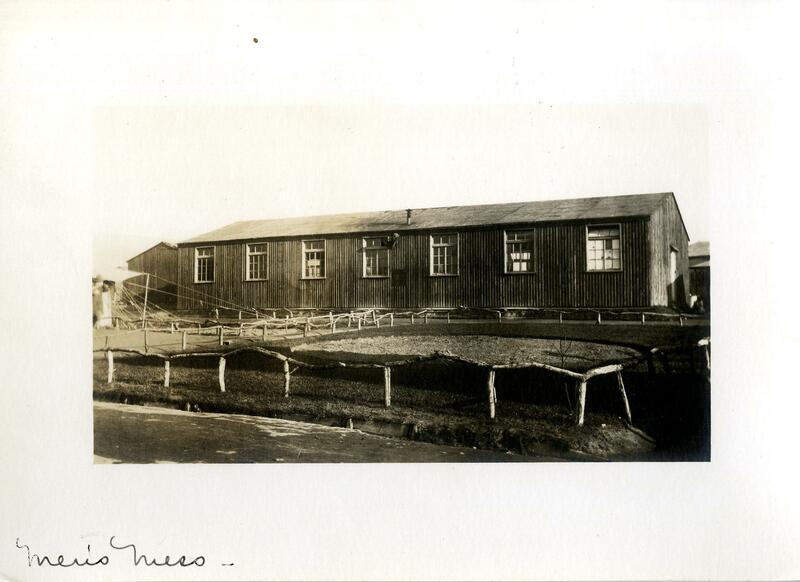 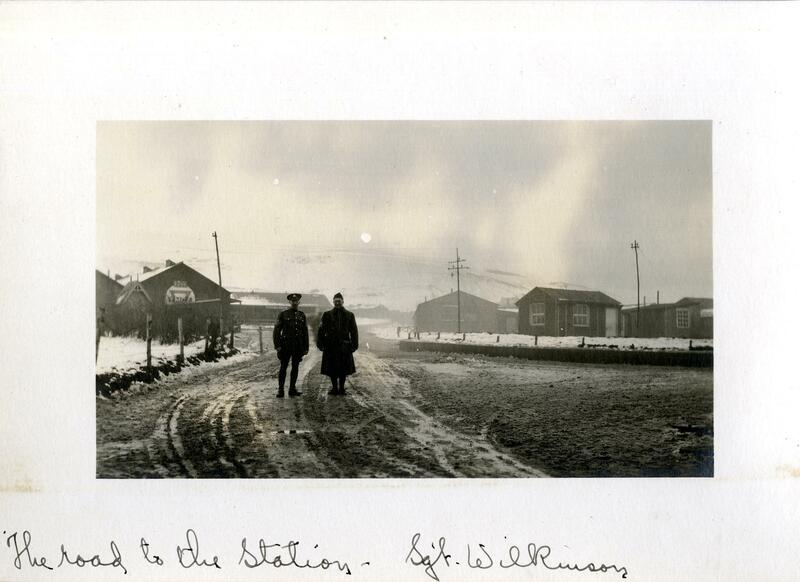 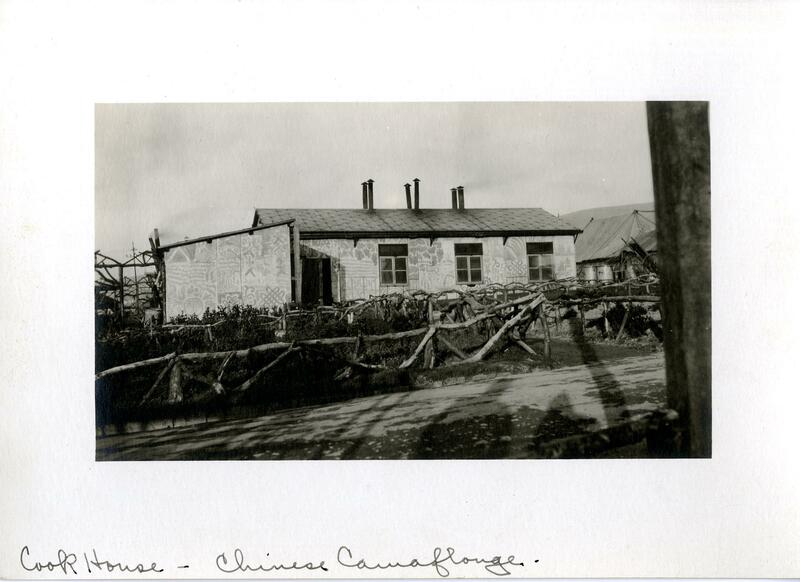 Northwestern’s Base Hospital 12, with doctors drawn largely from the University and nurses recruited from the Illinois Training School for Nurses and local hospitals, arrived in Dannes-Camiers, France in June 1917. 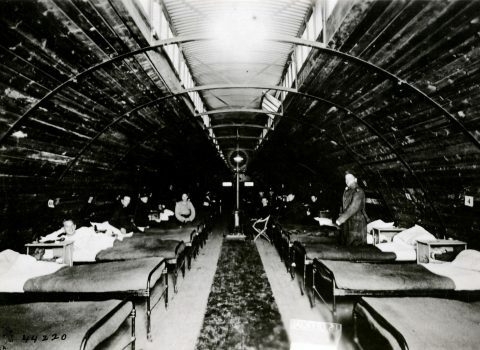 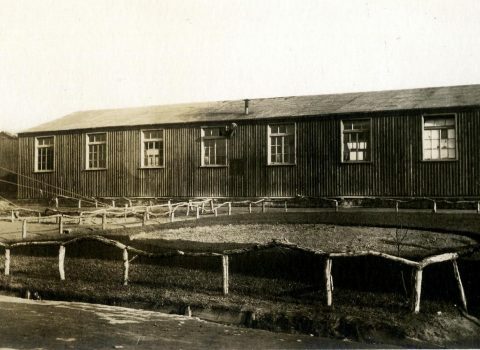 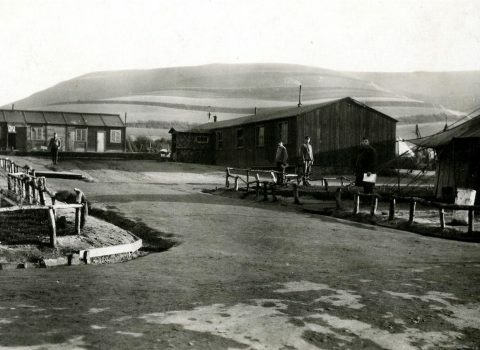 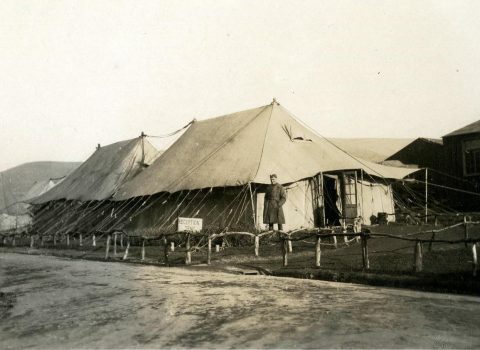 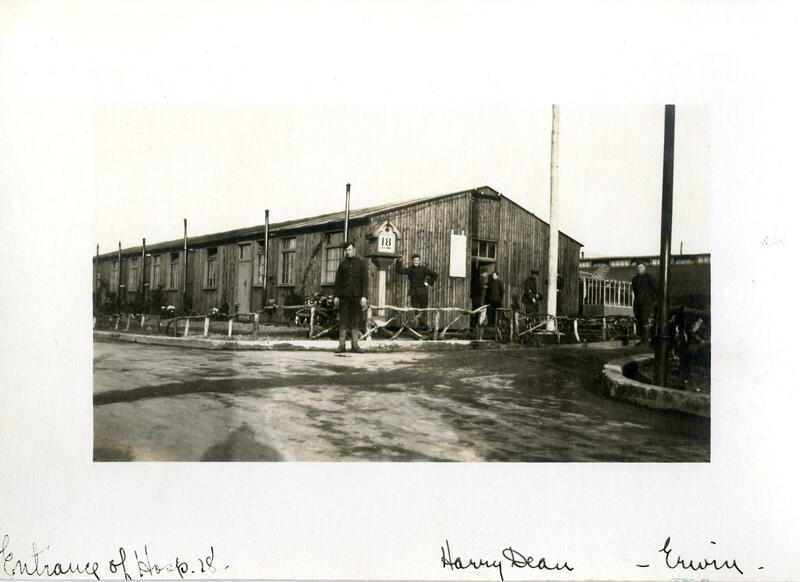 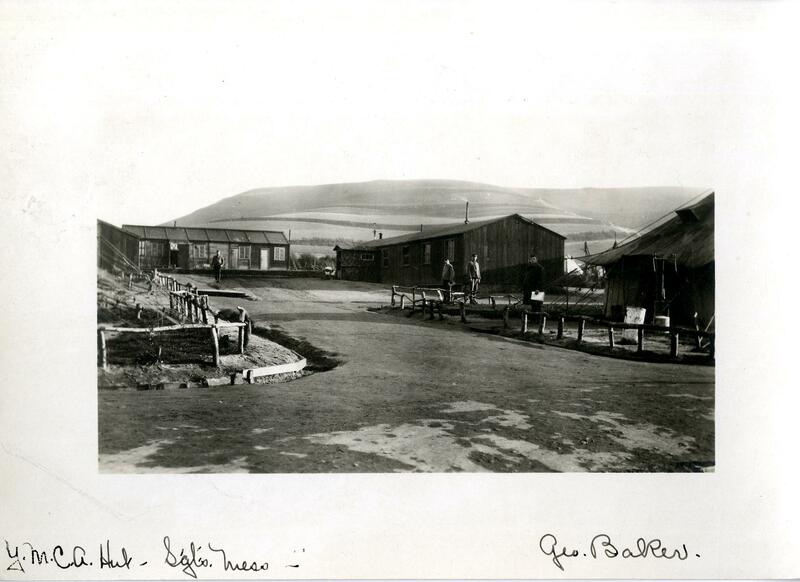 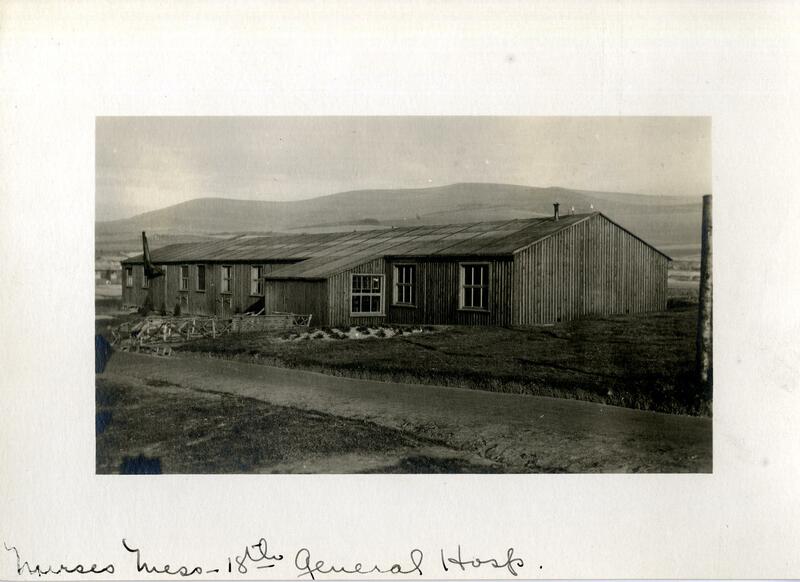 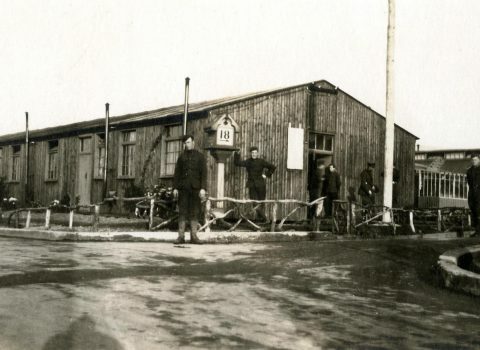 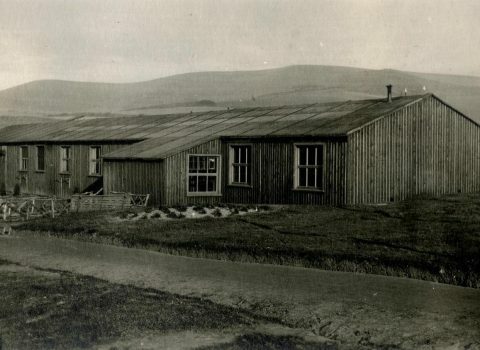 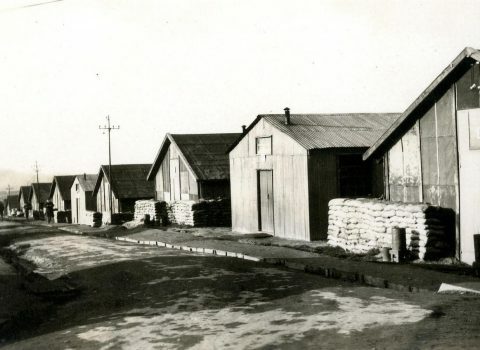 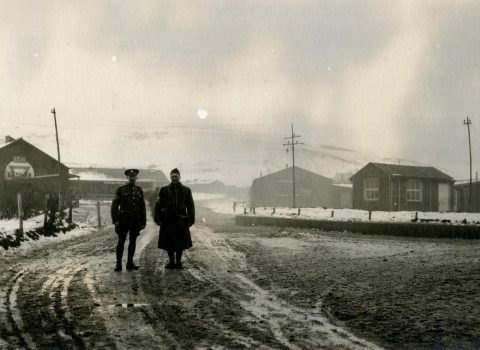 Base Hospital 12 was attached to the British Expeditionary Force, taking over the BEF’s General Hospital 18 for the duration of the war. 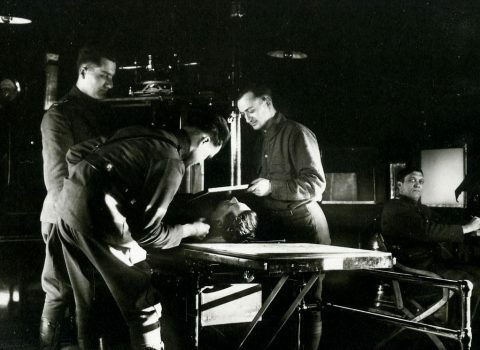 For the next 22 months its medical staff cared for over 60,000 wounded soldiers, approximately 3,000 of whom were American soldiers. 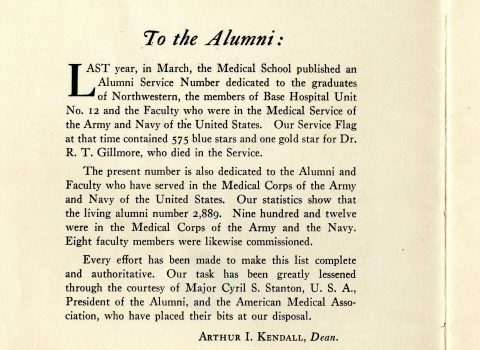 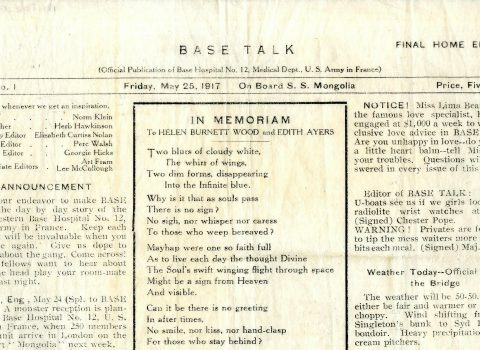 Of the six members of the Base Hospital who died, at least two were Northwestern students. 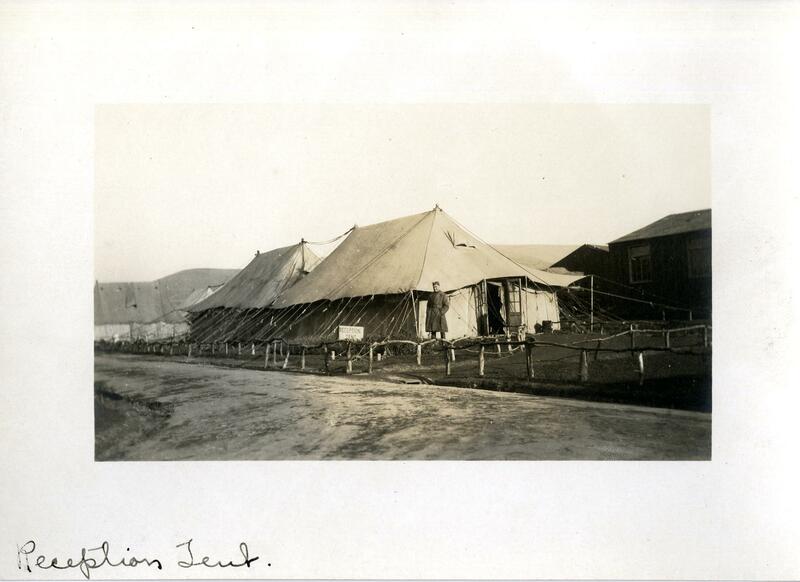 Lipton, the British grocery magnate who founded Lipton Teas, was a staunch supporter of the Red Cross. 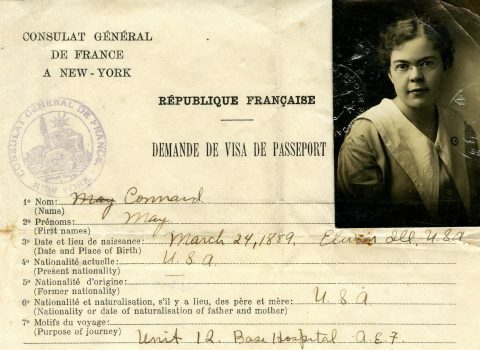 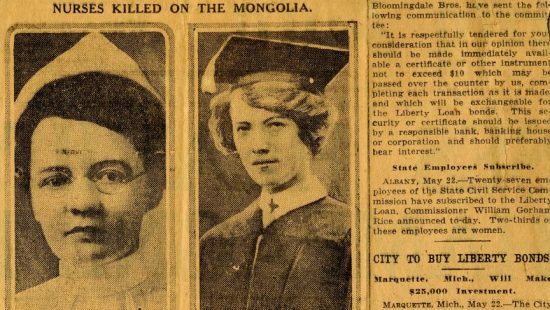 On May 19, 1917, a tragic accident occurred aboard the transport ship SS Mongolia, carrying staff and equipment of Base Hospital 12 from New York to France. 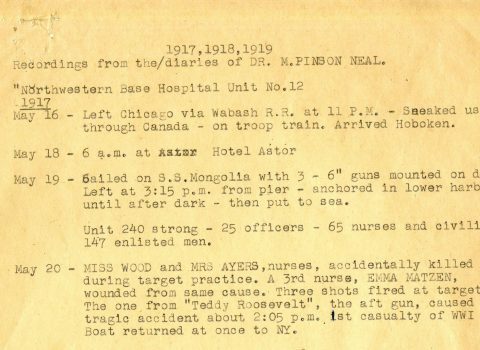 During target practice on the open sea, ordnance fragments struck several nurses, who were sitting on the promenade deck. 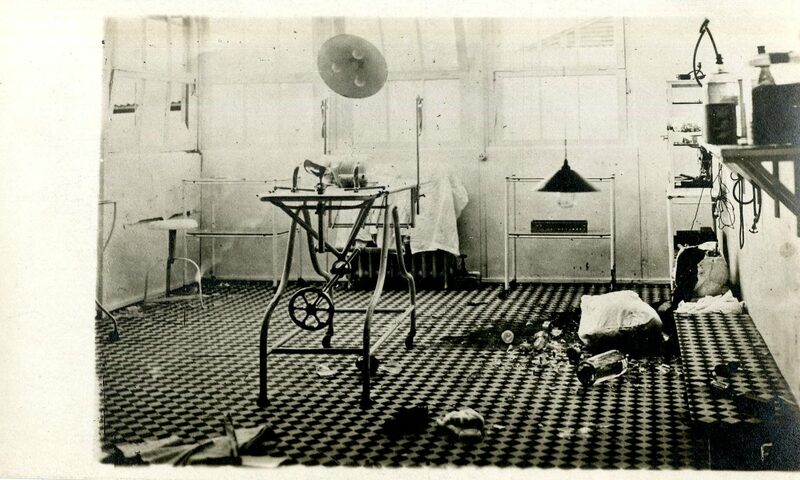 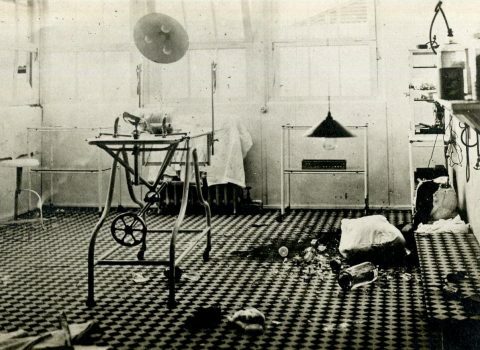 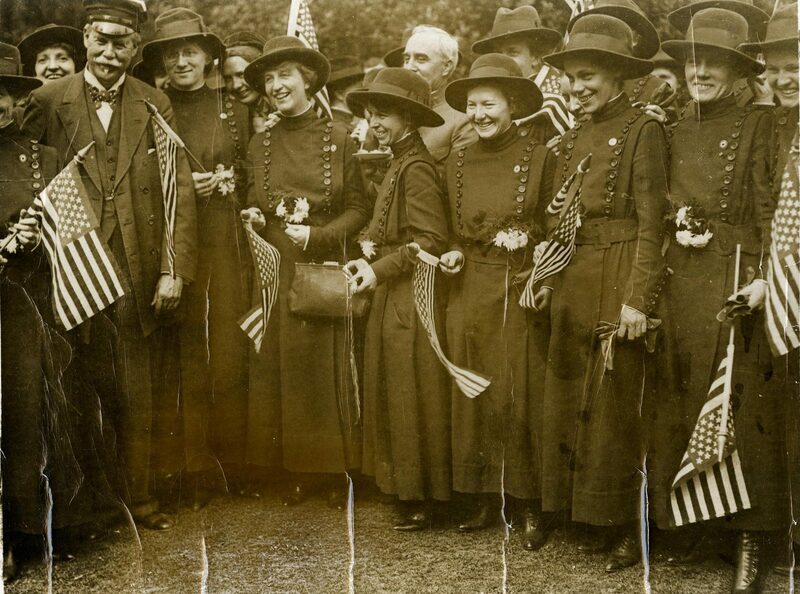 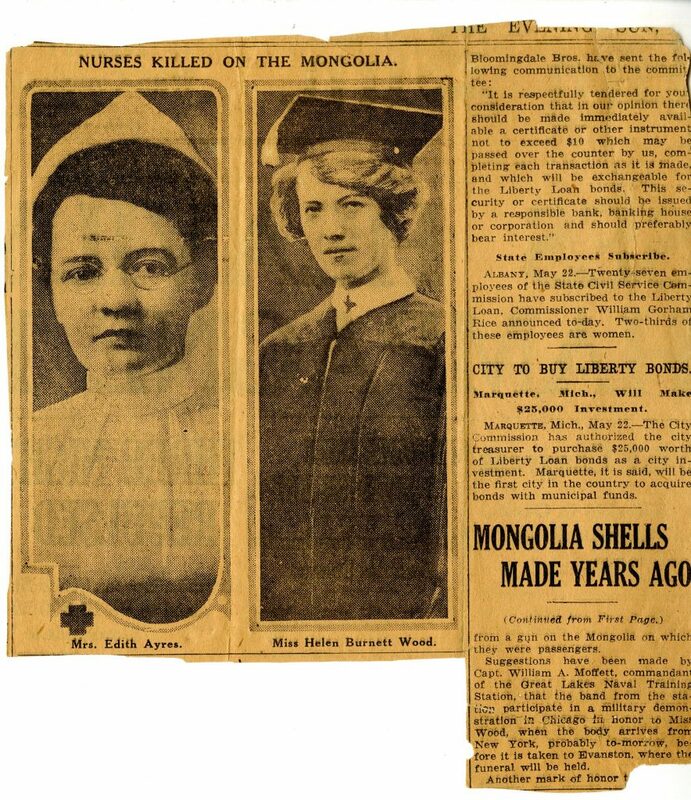 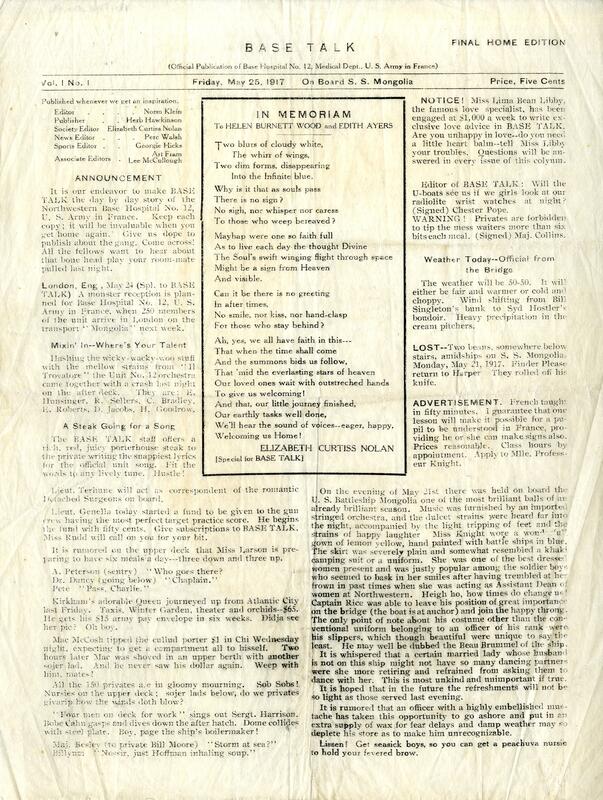 Several nurses were injured, while two nurses, Helen Burnett Wood from Evanston and Edith Ayres, were killed. 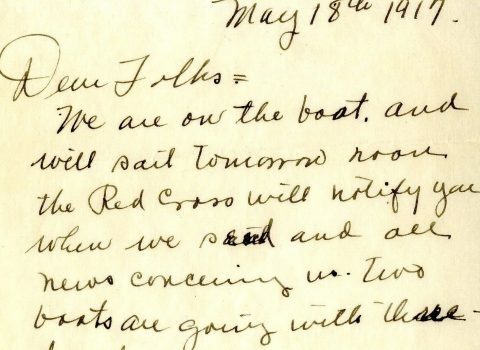 According to contemporary newspaper articles, the ship returned immediately to the port to unload their remains. 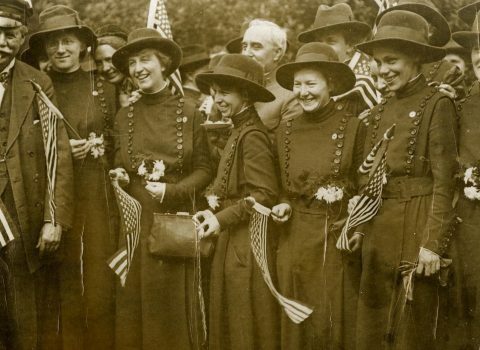 Their deaths were among the earliest U.S. casualties of the war and the first female Americans killed in military service. 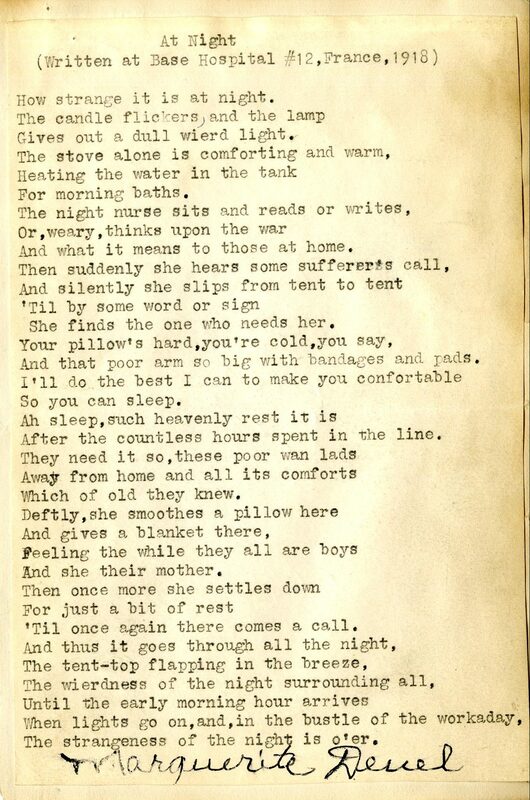 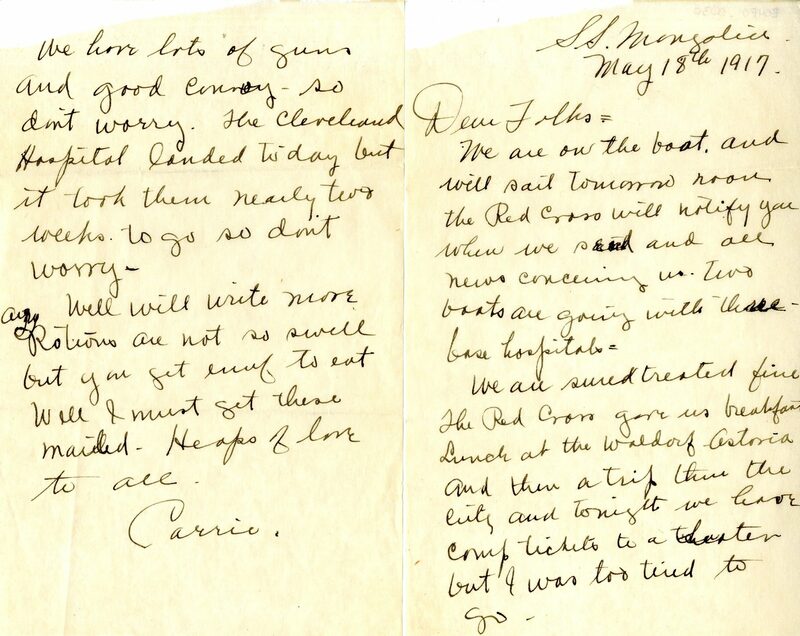 Written by “Carrie” aboard the SS Mongolia two days before the fatal gunnery accident. 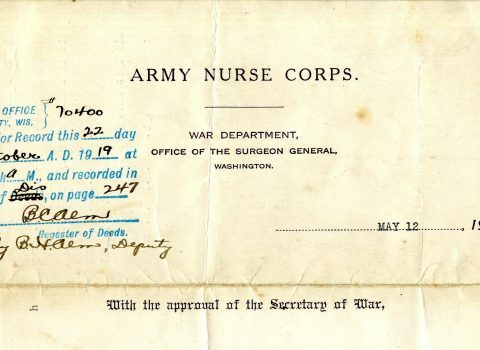 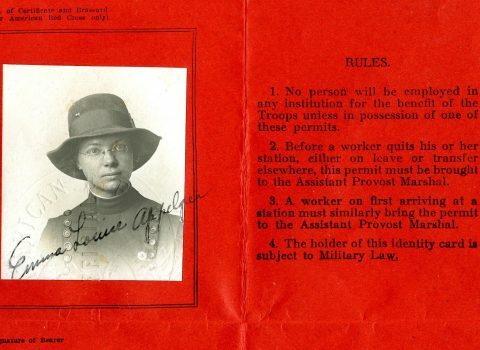 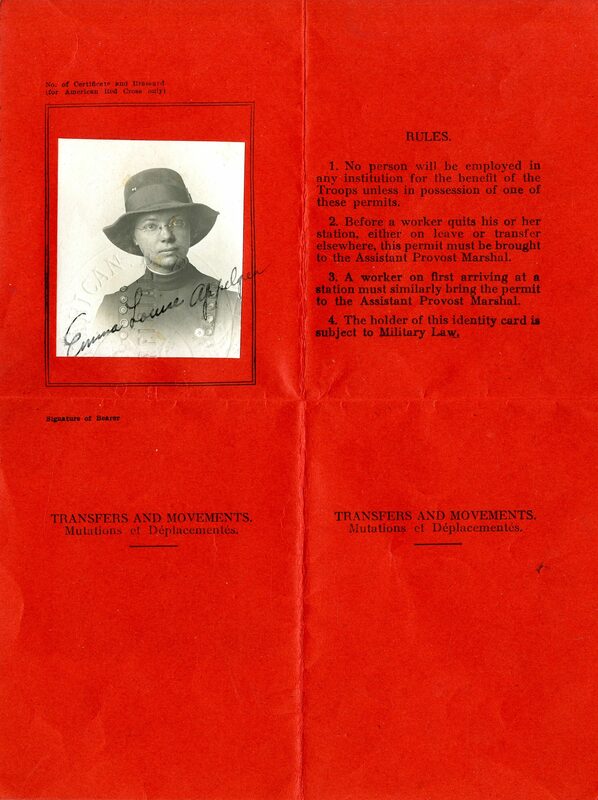 With this form reserve nurse Ernestine Kandel was assigned to active service in the military establishment. 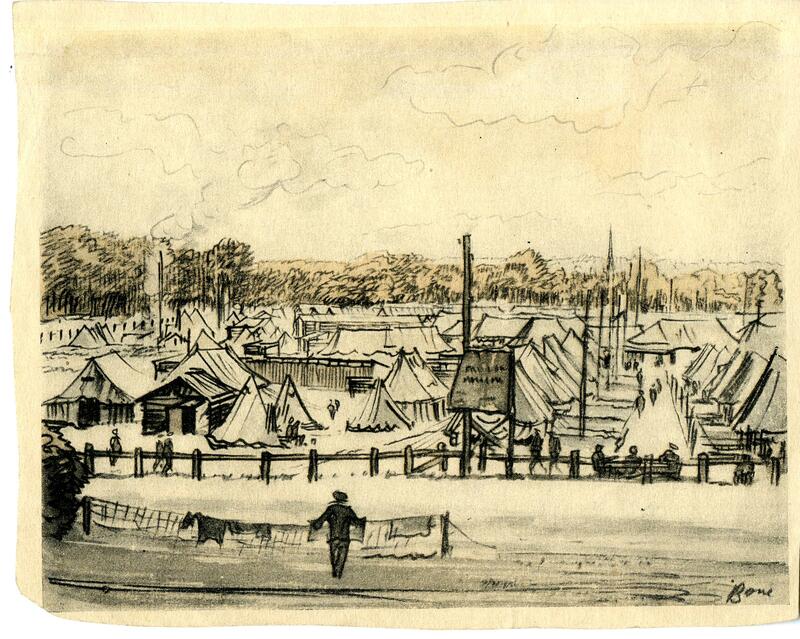 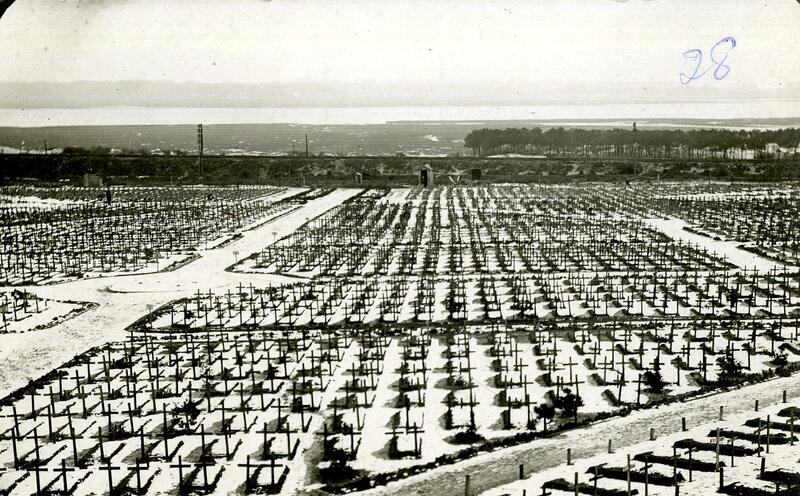 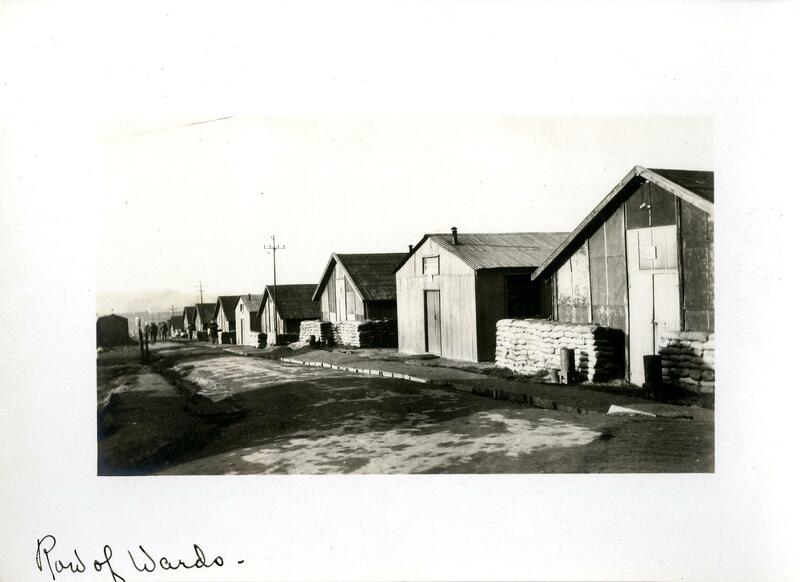 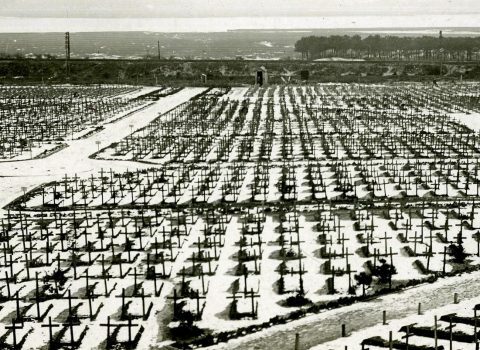 Kandel arrived in Camiers, France on June 11, 1917, to work for the British Base Hospital 18 and was later transferred to Base Hospital 12. 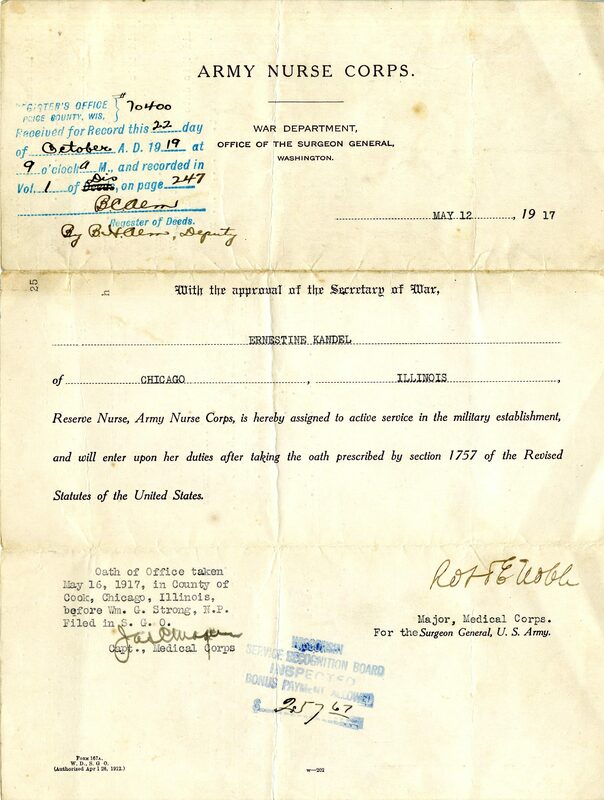 Kandel was officially relieved from active service on July 8, 1919. 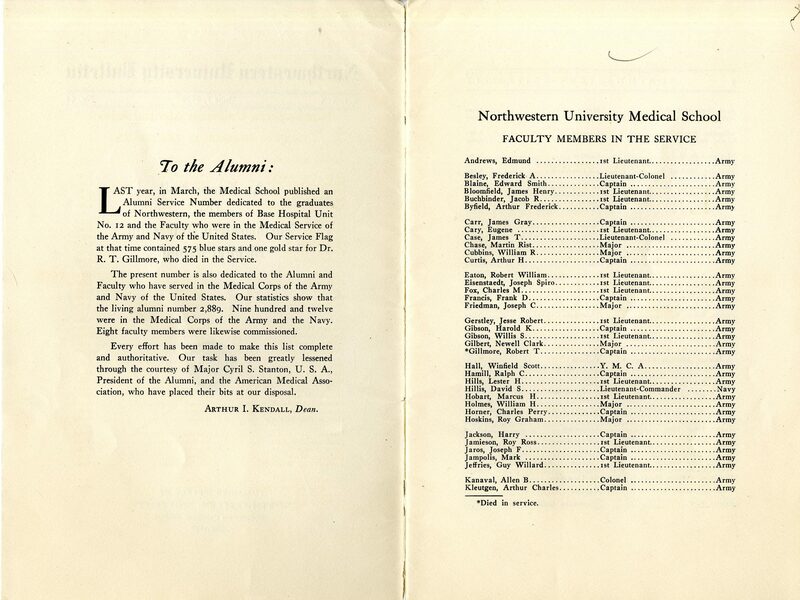 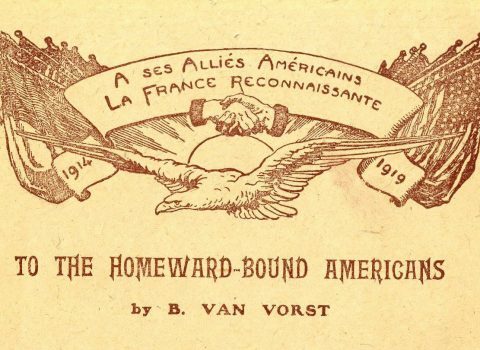 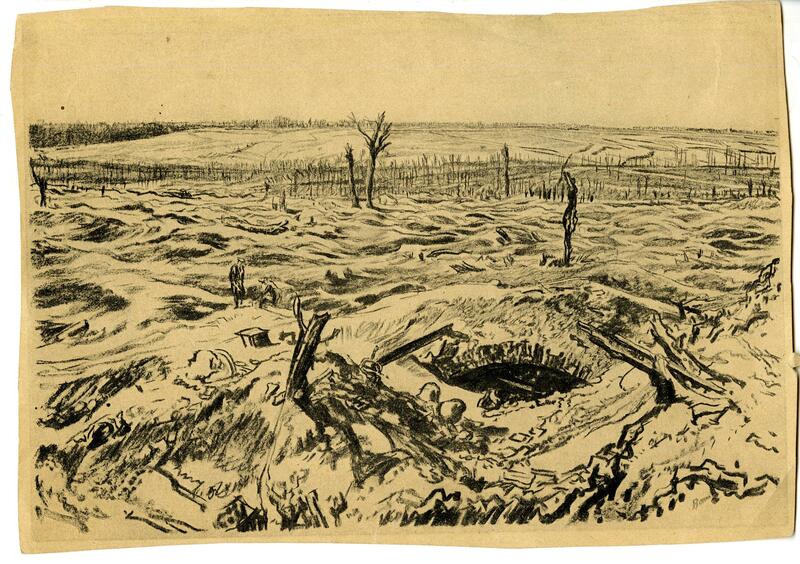 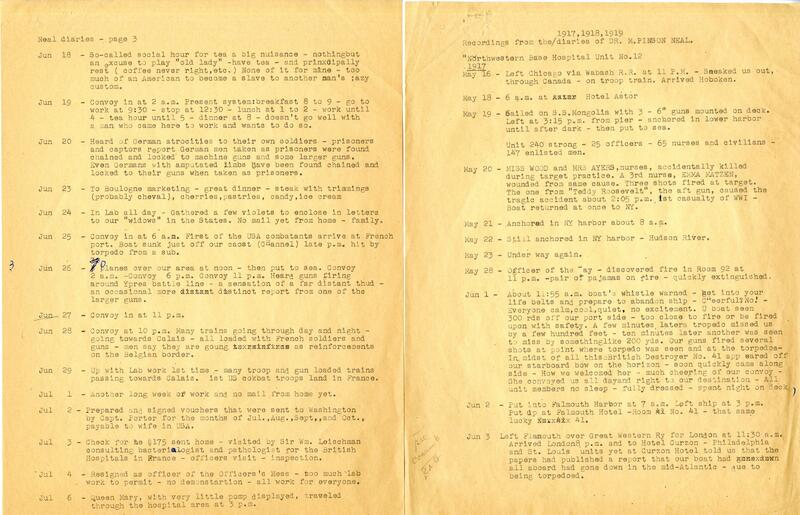 This collection is housed in the University Archives of Northwestern University Libraries. 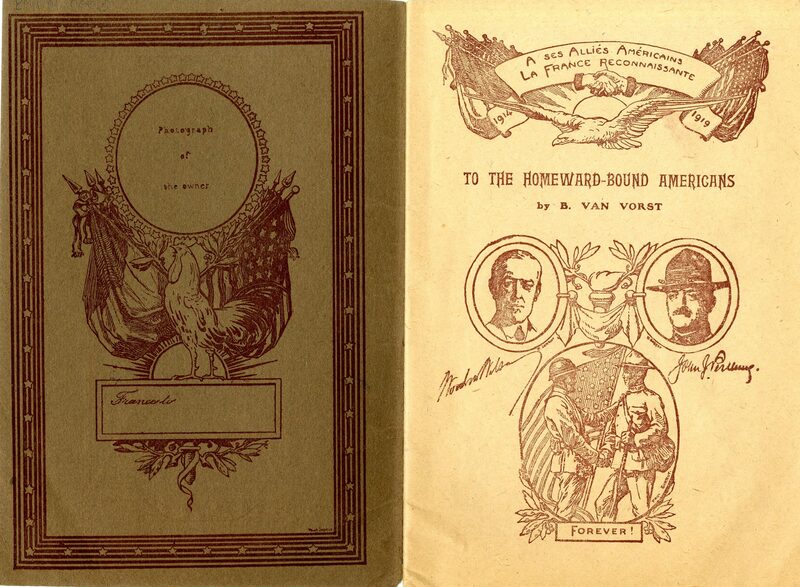 The complete digitized collection can be viewed here.